Getting a little personal today and sharing how I am Blogging with Purpose. This year one of my goals is to incorporate more personal posts onto the blog. Not personal like, here’s my life’s drama, but just sharing a little bit more about myself, my blogging and such. Today I thought I’d start with something simple and share my blog journey with you and how I’m trying to blog with purpose. Because the reason I began blogging was doing more personal posts so I guess we’re kind of coming full circle here (and if that made no sense then just bear with me). My husband and I originally started this blog to keep in touch with family and friends. We were newly married (one month to be exact) and we lived right outside of Washington D.C. We had one of my aunts and her family about 30 minutes away but aside from that our closest family was 5 hours away; and the furtherest family was about 12 hours away. We started the blog after a lot of episodes of the Kardashians and aptly named it Keeping Up with the Glovers. About two months after we started the blog I finally found a full time nanny job, this was my second nanny job. It ended up involving about two hours of commuting a day and working around 40 hours a week (not including the commute). I was pretty miserable, despite the fact that I worked for a great family I just wasn’t happy working 50 hours a week. I dreamed of being a housewife, being able to cook for Tyler and take care of him. I know that can be taboo in our society these days, but it was what I wanted. After a lot (and I mean a lot) of thought and prayer, and with the full support of my husband, I left my nanny job, cut our income in half, and began staying at home. I looked for other jobs while at the same time job hunting for my husband because we wanted to move back south. 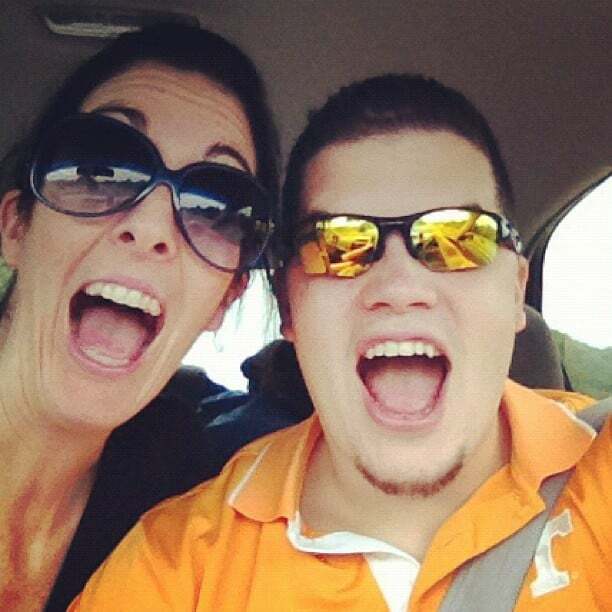 He ended up accepting a job in Nashville, TN and we are so happy to be here! Back to the blog, during nap times at my nanny job, I discovered the wonderful blogging community. I soon discovered that there were people out there who made money doing this and that amazed me. I read every post I could find about growing your blog, monetizing it, and building a community. I wanted to be able to monetize my blog and help contribute to our income. Well that takes quite awhile before it happens, and I also didn’t want to blog just to monetize, I wanted to blog with purpose. I began focusing on crafts, recipes and house projects we were doing because that is what I love doing. Also, since I was staying at home, it made sense to be blogging about what I do as a stay at home wife. In April of 2013, I decided to get serious and switched to self hosted WordPress and began my serious blogging journey. July 2012- The blog was created. April 2013- This is when I really got serious, got my own domain name and started really working on my posts and improving the quality of them. May 2013- I left my full time nanny job. December 2013- I made my first few dollars off of the blog, $75 big ones. I was thrilled. 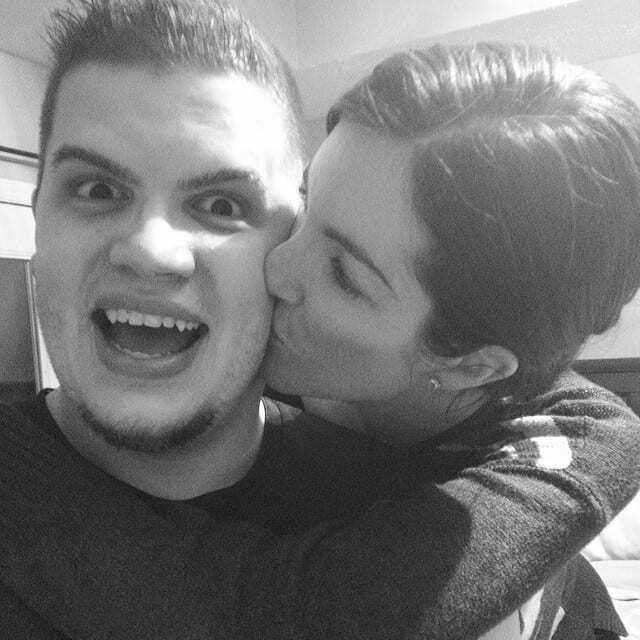 January 2014- I got a new blog design and had my biggest month yet. February 2015- A year later and I’ve gotten a custom design from Grace and Vine Studios and the blog is continuing to grow every day! Some days I feel uninspired, some days I feel like I’m not near as creative as all of the other bloggers out there, and those are the days I have to stop myself and remember the quote “Comparison is the thief of joy.” We are all just doing our own thing in our own way and that’s what makes each blog unique and special. Each day my prayer is that first and foremost I will glorify God through this blog. I am so blessed to be able to contribute a little to our income with my blog but I always want my first focus to be to glorify God through the things I do and say. My second focus is to bring quality content to all of you. I’d love to hear what you want to see more of on the blog this year? I always love to hear feedback from you on what you like about the blog or dislike, but please be nice :). What a great post! I’m trying to do a little monetizing myself. I like to try to put half the money I make back into my blog via advertising or a little giveaway, etc. I think your blog is awesome & I enjoy the content. That’s a great plan!! Thank you! It’s fun to see a fun hobby grow into something more! It sounds like you are doing so great! Thank you Debra! I am really enjoying it! I find it is so much easier to write when you have a purpose. Good job! Excellent post. I love the way you included the time line so we could get a sense of how long it took you to get to where you are today! Thank you! It was helpful for me too haha! Excellent – I love hearing the background on people’s blogs. Congrats on the growth and I wish you continued success! Thank you for being a little more personal with this post! 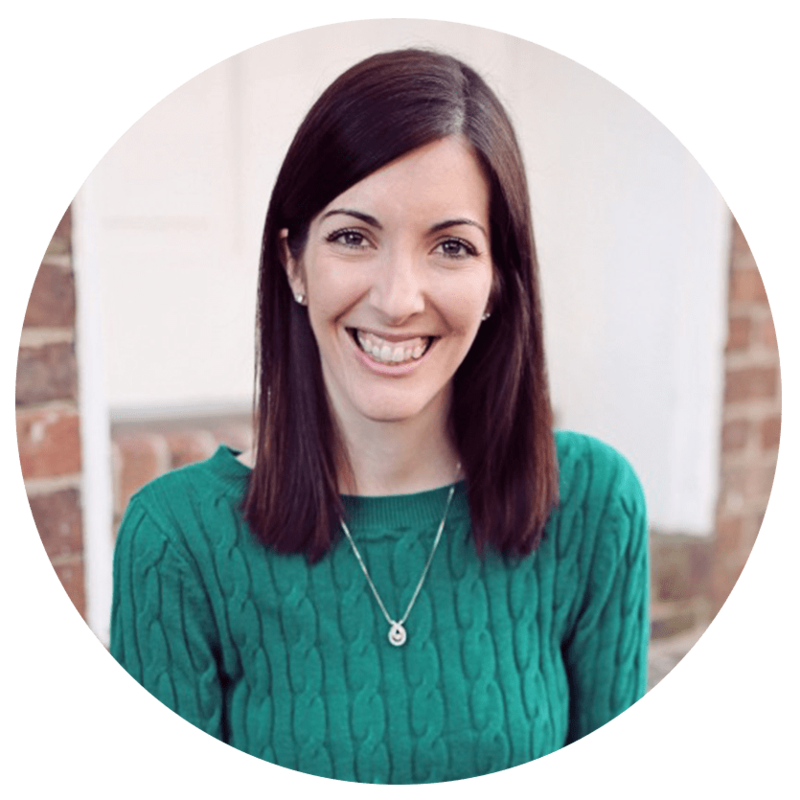 I love getting to know the bloggers behind the blogs that I am reading! And congrats on such a successful blogging career so far dear! I do as well. Thank you so much! I love hearing the back story of how bloggers got started! I’m glad you did so we could connect! Great post Emily! I love the quote “Comparison is the thief of joy”. I know I will be borrowing it a lot! Thanks for sharing your blogging story! I need to hang it up in my office space! Such a good quote. Great post and I always believe one’s passion for blogging shines through! first, I love being at home.. I worked the first four years of our marriage, but now LOVE being at home. Some of my friends are going back to work now that the kids are older and I have no plans to do that! Don’t let anyone feel bad for being a great wife and doing what you love ;o) I like reading posts like this. Thank you :)! I love that I have the option to stay home and look forward to doing it when we have kids as well! That is so great!! I can’t wait to see where your blogging journey takes you! Great post! 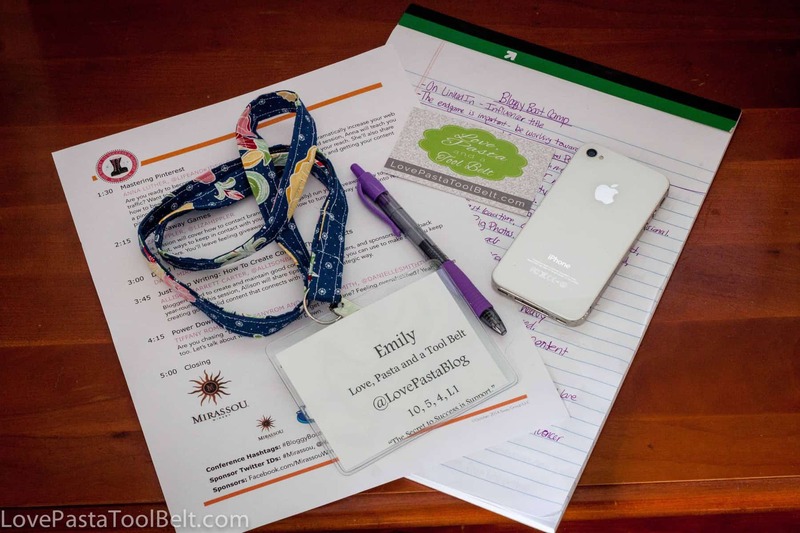 I went to Bloggy Boot Camp as well and it completely transformed my blog. Shortly after attending Bloggy Boot Camp I started making a bit of money on my blog. Nothing major, but enough to make me feel like maybe I was doing something right. I have yet to switch to WordPress, and I may never do it, but I do like where I am now. 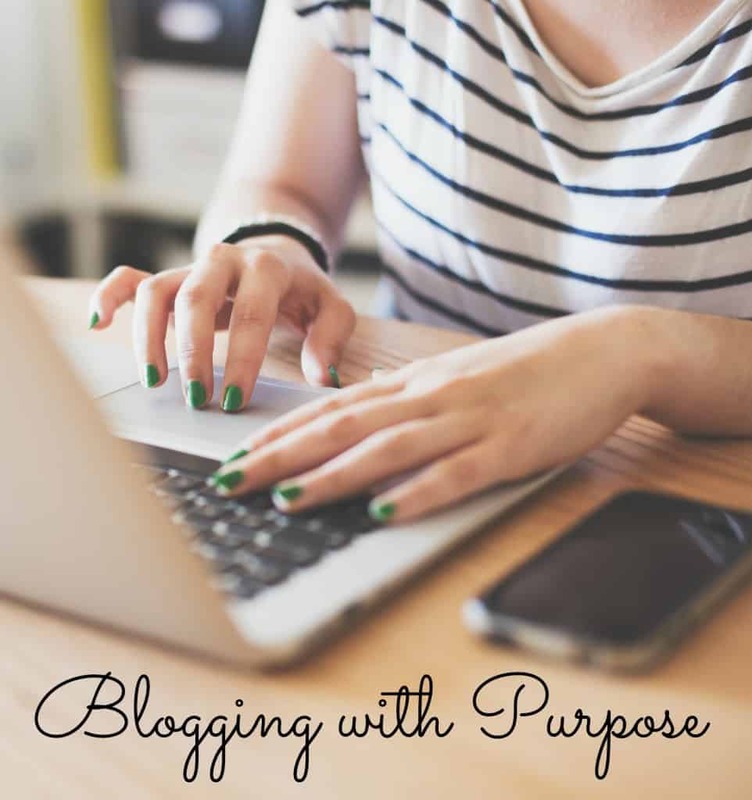 I agree that we all need a sense of purpose to blog. I found mine, and I’m happy to see that you are finding yours. Thanks for sharing your thoughts! I enjoyed reading this post. It’s nice to know you’re not alone. I love learning new stuff to apply to my blog. I feel like I could go to a million conferences and never learn it all! Found your blog today and love that you are able to spend more time with your kids. This is my first time visiting and I started my blog the same year you did. Nice to meet you Emily! Welcome! So glad to have you here. Looking forward to checking out your blog. This is awesome! I’m so glad you have made it work. If you have any great tips on how to get started monetizing, will you send them my way? We are working on getting our new blog up and I have no idea where to begin with monetization. Any tips would be great! I will probably be working on a post on monetizing in the future! Great post! I’m always worried about being extremely personal, but then I remember how much I enjoy reading other bloggers’ personal posts, too. I know I enjoy them too! It’s so fun to read about other’s blogging journeys! I’m so jealous you are getting to live the dream! I can’t wait until i get to the point where I can blog full time. It really is fun but also a lot of work, as you know :). Whether full or part time it’s still quite the job! Thanks so much for sharing this with us, Emily! It’s nice to know the heart and drive behind your blog. I blog first and foremost to glorify God and then to encourage my readers. While I would love to one day be able to help my husband by earning some income, I believe that I need blog from the heart and not focus on the money aspect too much. I’m glad to know that there are other like-minded bloggers who feel the same. Blessings to you and yours on your blogging journey! I love this post and completely agree, we can all do this, and we can all put our own unique spin on it. Good for you!